Set on the banks of the Selinda Spillway, this tented camp has wonderful, far-reaching views over the floodplains and palm trees which you can sit and enjoy as you relax on one of the main viewing decks. Selinda Camp will close on 1 November 2018 for a complete rebuild and is expected to reopen on 1 July 2019. Set on the banks of the Selinda Spillway, this tented camp has wonderful, far-reaching views over the floodplains and palm trees which you can sit and enjoy as you relax on one of the main viewing decks. This is in essence a luxury bush camp in a superb wildlife area. Days will be busy exploring the Selinda Reserve, made famous by the National Geographic films of Dereck and Beverley Joubert, who are co-owners of Selinda Camp. Whether out on a game drive, in a boat, on foot or watching quietly from a hide, you’ll be amazed at the variety of wildlife you see. 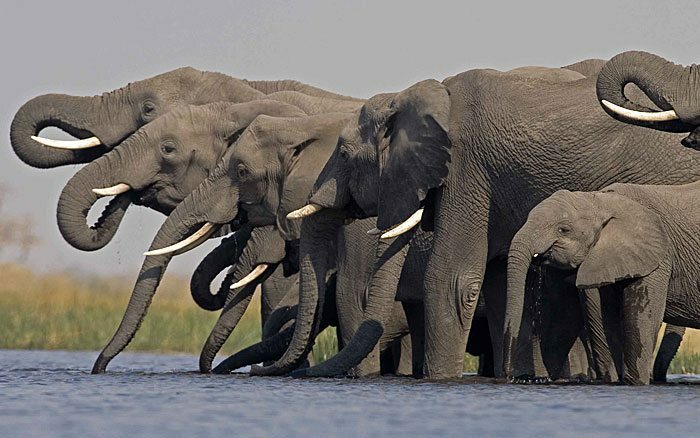 Herds of elephant, zebra, buffalo, hippo, lion and wild dog are among those often observed. In the dry season the numbers of elephants and buffalos can be quite staggering. Selinda Camp’s tents are canvas, set under the shade of a thatched roof. They’re on raised platforms reached by a short flight of steps. Ceiling fans help to keep the interior cool. There’s a writing desk and a sitting area plus a large veranda, reached through double gauze doors, where you can sit and contemplate your own private view of the bush. Sliding wood doors lead to the dressing and bathing area where you’ll find dual basins, a freestanding stone bath tub and antique shower. The main building is a large structure set on a raised deck beneath a high pitched thatch roof. In the main lounge paintings depict local scenes and squashy leather sofas invite you to put your feet up and rest. There’s an adjoining tea veranda and a separate dining area, plus a terrace where meals are often served, accompanied by wines from the cellar. You can browse round the art gallery where you’ll see samples of Beverley Joubert’s photography and can spend quiet time reading. Local handicrafts are available at the shop and make fine mementoes of your safari. The camp has a plunge pool set discreetly apart from the main area. At the end of the day the fire becomes the focal point as you gather with fellow guests to recount the day’s happenings before retiring to your tent. Children aged 6 years and over are welcome. 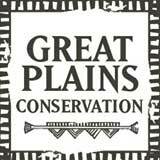 Great Plains’ Young Explorers Club offers special child-orientated activities and experiences. Please ask us for more details of this. Families staying at Selinda Camp benefit from their own ‘family host’ who co-ordinates their whole stay. This is bush camping but with many added comforts such as rugs, easy chairs, polished wooden furniture, sliding doors, lamps and ceiling fans. It has a rather home-from-home feeling about it.